Florida antique flea market about 20yrs ago. 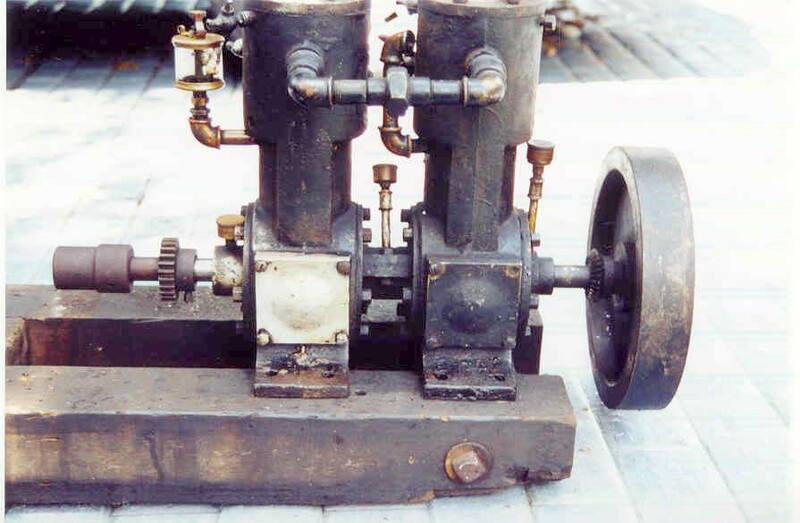 Barbers were 3 port engines and it caught my eye that this one had been converted to two port ? 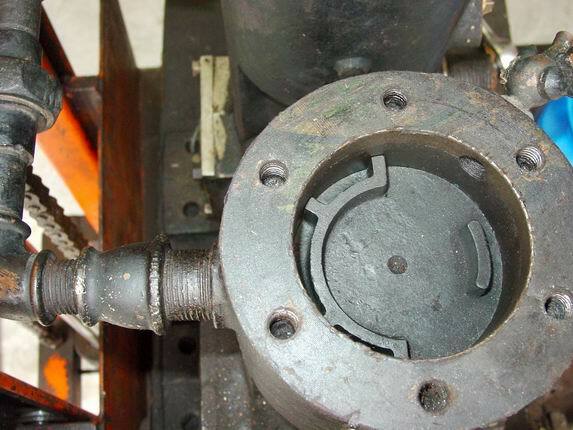 Removing the head revealed piston with two deflectors ? All The rings on both pistons were broken ! 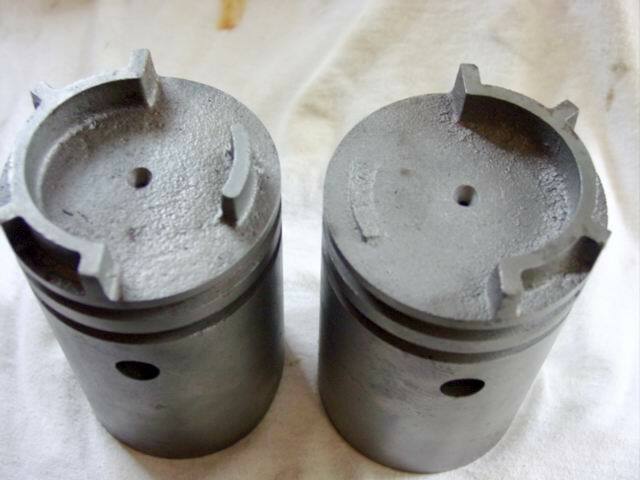 Cylinders are in very good condition considering the obvious hard life they endured . 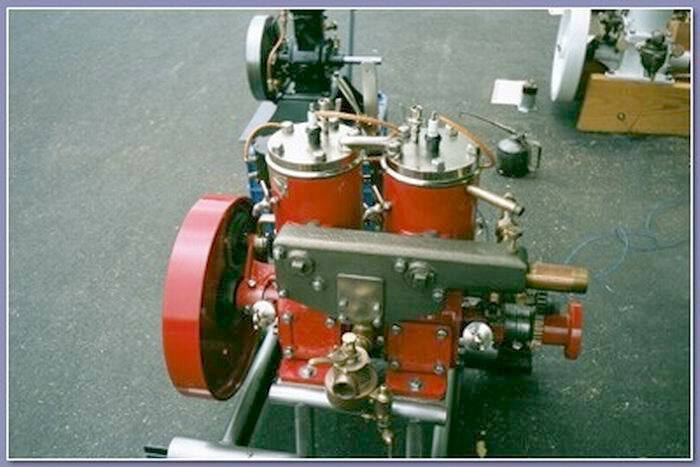 Great looking engine! 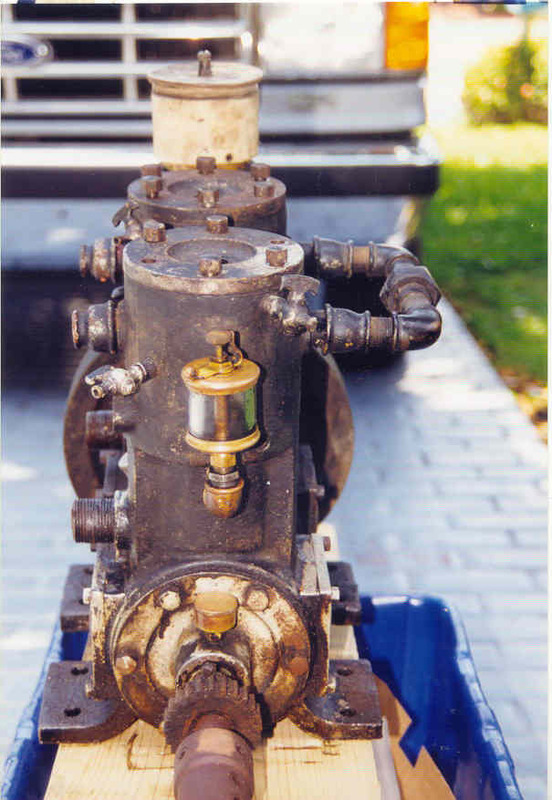 Do the cylinder heads have any cooling/ waterjacketing?/ or it just dissipates the heat through the mating surface? Richard, looks like the deflector is on the exhaust side, don't know why they put it, don't think you'll miss it. 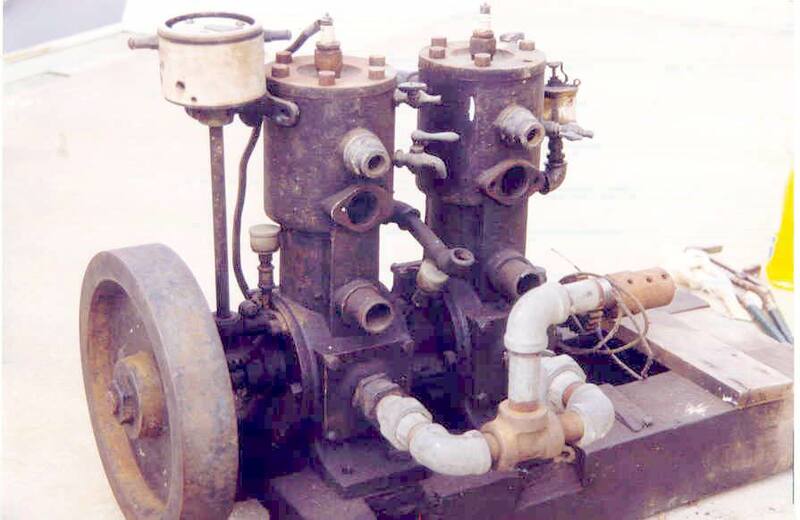 Kerosene engines also used them to keep upper cylinder hotter to ignite fuel mixture ! J.B. 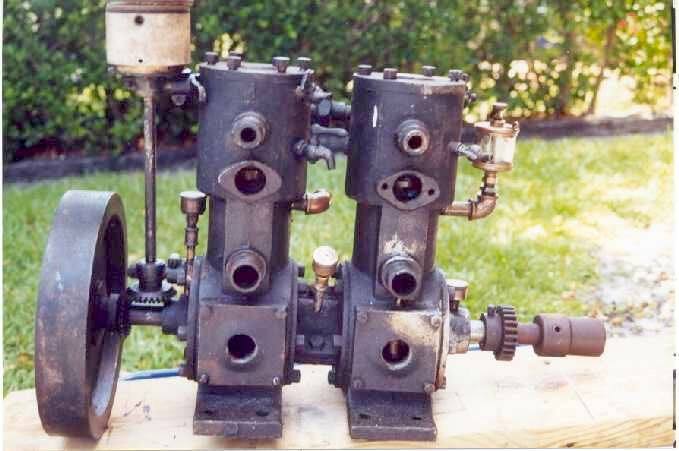 I have wondered what the Barber Bros had in mind when they designed these pistons, they were one of the earliest mfgrs to use the three port system ? I have also never found any reference to a Barber engine with this small of a piston ? 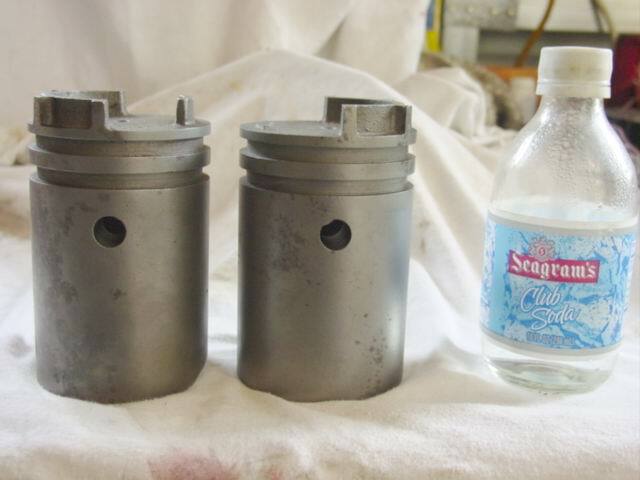 Any one seen other pistons with dual deflectors ? Paul Gray restored a similar Barber that he displayed at 2003 Calvert. What I could find on file ! 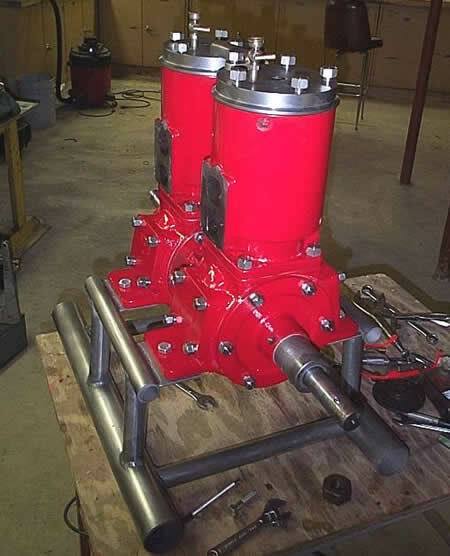 This was a larger bore than the above engine. Maybe Paul will remember about the deflector ?